Taking an Investment Property to the market is something that needs careful consideration. The first six weeks of the campaign are the most important when it comes to connecting with the right people locally. In that short period of time you need to attract the right people to the property listing, create inspections, qualify interested parties, and encourage offers and negotiations. You simply cannot waste time at the start of the property marketing campaign. So the marketing campaign should be carefully structured. Remember that every good quality property should be exclusively listed to achieve the best results from marketing locally. Inspect the property – Make sure that you fully understand the property physically and legally. Ask plenty of questions relating to the property as it is today and how it has evolved over last few years to today’s sale or leasing requirement. The property history may give you a valuable ‘edge’ when it comes to target marketing and local promotion. Strengths and weaknesses – Look at the property from a tenant or buyer’s perspective. What are the strengths and weaknesses for the asset? What will people be looking for when it comes to investment or occupancy? When you fully understand the strengths of the property, you can build them into the promotional strategy and attract inquiry. It stands to reason that any weaknesses in the property should be resolved prior to the campaign. Resolve problems first – Some property problems take weeks if not months to resolve. There may be requirements of change to the tenancy mix, lease documentation, rental structures, or expenditure management. Be prepared to spend required the time in finding the problems, looking at the alternatives, and activating the solutions. Competing property analysis – Research the local area to understand exactly where the competing properties are located. Visit those properties, identify the points of difference and or marketing niches that may apply. When you understand the other properties that are on the market locally, you can look specifically at your listing and shape the marketing message accordingly. Feature points – Can you identify four or five unique selling points that would apply to the listing that you are about to promote? Build your advertising campaign around those unique selling points. Target market – With most of your property listings, the target market will be local. Local investors, business owners, and developers will always be on the lookout for other properties and or locations. When one listing comes onto the market, directly market that listing into the location ensuring that you cover all local businesses and property owners. Use every single listing as a core reason to connect with your marketplace. Talk about your listings to local people. Campaign timing – Certain times of the year and days of the month or week will be better than others when it comes to property promotion. Time the property release to the best promotional time and timeline. 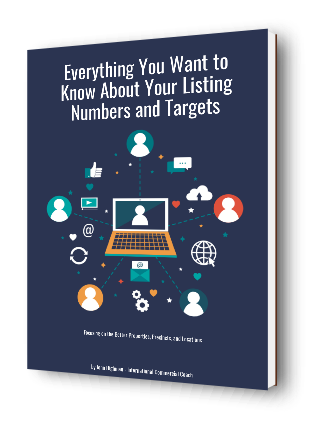 Every good listing should be fully exposed to the target market over a period of 6 to 8 weeks. At the end of that time frame you can reassess or re-position the property depending on promotional feedback and inspection activity. Budget – How much money should you spend in property promotion? How should that money be channeled towards the right media choices? When working with any clients, it pays to offer them three alternatives of marketing together with the associated costs. Invariably they will usually choose the middle ground when it comes to the final promotional budget. Headline choice – The headline will always pull in the attention of the required buyers or tenants. The headline can be creatively enhanced with words that sell. 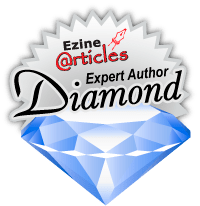 There are plenty of books available online to give you some valuable hints when it comes to advertising and promotional headlines. Professional photos – They say one photo is worth 1000 words. When you use professional photographs in commercial property marketing, one professional photo is likely to be worth 2000 words of description. Choose your photographs well, and always engage a professional photographer where funds allow. White space – Keep your advertising strategies simple in layout. Use plenty of white space when it comes to advertising design and advertising copy. Avoid overly complicating the advertising story with lengthy advertising copy. Simple property advertisement featuring a few salient feature points will always encourage more inbound inquiry. So there are some good points here to consider when it comes to designing a property marketing campaign for any investment today. Mix and match your promotional strategies online and offline within the budget that you have sourced with the client. Drill down into the target market so that the advertising converts reasonable levels of inbound telephone calls.